I'm so excited to bring you a guest post today from Brittany at PA Fanatic. I first got into contact with Brittany on Instagram, and she did an amazing job with sharing some tips. If you want more advice from Brittany, and to follow along as she starts PA school shortly, check out her website or follow on Instagram @PAfanatic. I did a post on Brittany's site with 5 Things I Wish I Knew Before Starting PA School, so make sure you read that one too! Every pre-pa needs to know these CASPA hacks. If you’re applying to CASPA right now, you already know how time consuming this process can be, but I promise it’s worth it! All the effort you’ve put into your application will be worth it once you get your first interview invite! I had my fair share of struggles with CASPA so I came up with 5 tips to help when applying to CASPA! Since I know you’re all busy little bees and have been volunteering, working, trying to have a social life, all while tying to get good grades, life can get hectic pretty quick and it’s easy to get disorganized. That’s why one of the most important things you can do for yourself when applying is to create an excel spreadsheet to help you organize all your activities! I found myself frequently changing my experience description up until I submitted my application. I found it way easier to work in excel than to keep changing things in CASPA until I submitted. I recommend finalizing everything in excel before plugging and chugging it all into CASPA. 2. Keep track of all of your school deadlines! This is harder than it seems since so many schoolshave varying deadlines ranging from August all the way to December or even January! I found it helpful to write down each school’s deadline in my planner as well as having a post it note with each school’s deadline kept on my desk. It’s really important to pay attention to the deadline because some schools require you to be “completed” by the deadline, meaning your application (and supplemental if required) has been submitted and considered complete, while other schools require you to be “verified” by the deadline, meaning that you application not only has to be considered complete, but also reviewed by CASPA. The verification process can take anywhere from a day to a few weeks depending on when you submit so keep this in mind when deciding on when to submit your application! 3. Don’t underestimate the power of your supplementals! It’s easy to get burnt out completing your CASPA application and personal statement, but it’s still important to put a lot of effort into your supplementals. With the thousands of applications that each school receives, it’s hard to stand out on paper. Supplementals allow you to personalize your application a little more and if done right, could be the difference in you getting an interview spot over someone else. When I filled out my supplementals, I tried to treat each one like my personal statement. I periodically tweaked it and had 3+ people read them all over to ensure I had no grammatical mistakes. 4. Always remember to update your application! As someone who applied my junior year of college (I was personally aiming to not take a gap year), it was important for me to continually send colleges my updated transcripts so that they could see what upper level science courses I was taking (schools love this btw). It’s also important to do this if you’ve accrued volunteering hours, or have continued to rack up PCE hours at your job! It shows that not only are you gaining more experience, but you also care to specifically update the program. If it were to come down to deciding between two similar applicants for who should get an interview spot, I think admissions would go with the applicant still gaining patient experience. I took the opportunity to reiterate why I was excited about a certain program when emailing them updates on my application. 5. Set a deadline for yourself on when you want to submit your application! For me, I set the deadline as my birthday because I didn’t want to have to worry about CASPA on my birthday or the days following. Personally, I think this was extremely helpful because it was a solid date that I had to hold myself accountable for to finish my application by. If you’re anything like me, you’re a little type A and either 1) want to finish your app as fast as possible and rush through it or 2) will keep tweaking it forever. Setting a deadline helps you decide how many hours a week to devote to CASPA without getting overwhelmed and gives you a cutoff for when you just need to stop critiquing your app and have to just trust yourself! Lastly, but most importantly, have faith in yourself. If you’re not confident in yourself, how can you expect someone else to be? If you’ve gotten to this point, you’ve worked extremely hard so hats off to you! During this arduous process it’s important to remain positive, you’ve got this! Brittany recently graduated from Drexel University and will be attending Philadelphia College of Osteopathic Medicine for PA school this June! She originally thought she wanted to be a PT, but after more exposure in healthcare, she knew PA was for her and is excited to see where this journey takes her! For more of Brittany's posts, check out PA Fanatic. 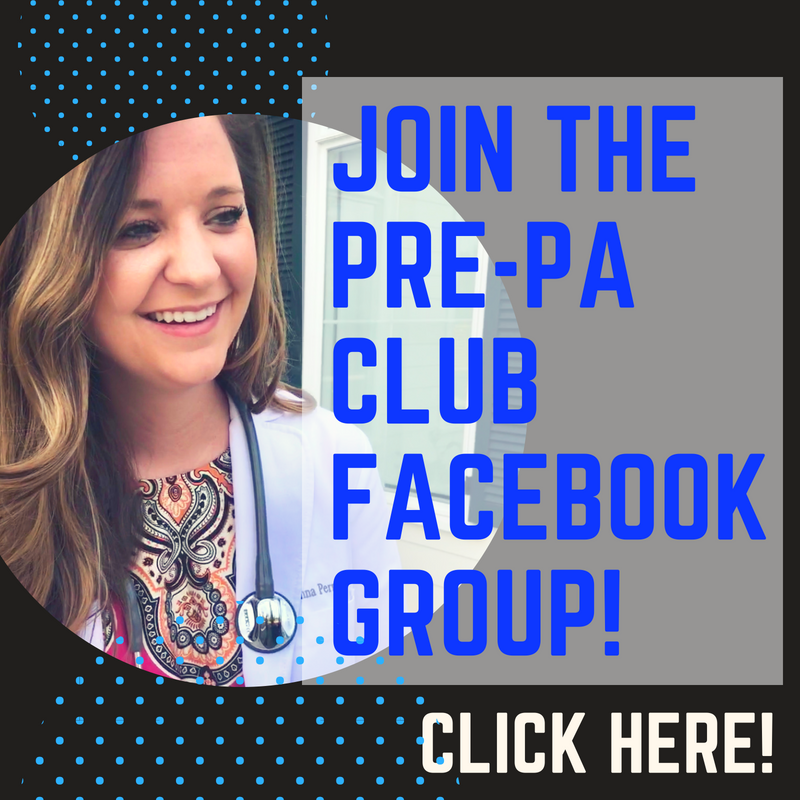 Attention all Pre-PA students! This is something really cool that you need to know about. PAEA is the organization that is over physician assistant education, and occasionally they do virtual fairs. This wasn’t around when I was in undergrad, or if it was then I was clueless, but it’s a great opportunity for you. And the best part is that it is FREE! The dates for the upcoming fair are April 19-20, 2017. All you have to do is visit this link to register. On the days of the event you’ll be able to sign on and interact directly with the PA schools you are interested in. There is a chat option, and video as well. Start compiling your questions so you can finalize the list of where you’ll be applying. This is perfect timing with CASPA about to open for the 2017-2018 cycle. If you can’t make it to this event, it looks like there will be another one in July, but I’ve heard great things about these virtual fairs. It’s something you don’t want to miss. If you’ve attended one before, comment below to let me know how it was and if you have any tips for other Pre-PA students who are interested in attending. And don't forget about the CASPA/Applying to PA School Webinar on April 19th at 8 PM EST! What is my CASPA GPA? Welcome! This webinar will be live at 8 PM Eastern on April 19, 2017. If you're tuning in live, you can comment with questions here or jump over to Youtube to live chat. If you're watching this as a replay, feel free to comment with any questions! If you would like reminders about upcoming webinars, enter your email to the left! So if you know you want to do something in the medical field, you've probably looked at many different options. 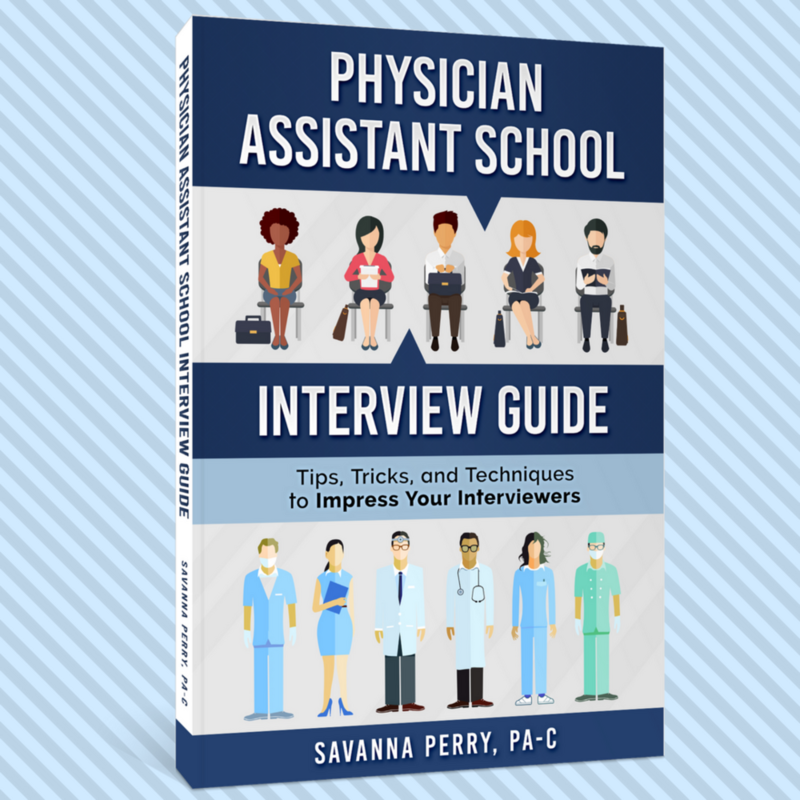 There's medical school, dental school, physician assistant, occupational therapy, physical therapy, nursing or nurse practitioner, anesthesiologist assistant, pathology assistant, and probably tons more of options. So when it comes down to it, you have to decide what you want your role in medicine to be. I'm mainly going to compare PA school and medical school because that's what I'm the most familiar with. And if you decide to become a PA, you will quickly become tired of hearing "So when are you going to medical school?" or "When will you be a real doctor?" I have an interesting perspective because I graduated from PA school a year ago, and my husband is currently a 4th year medical student. So I've personally been involved in both sides and seen the differences and the advantages and disadvantages to both. I've seen the preparation, application process, didactic and clinical years, as well as the steps that follow. Both programs are incredibly competitive, but it comes down to deciding where you fit in the best and what you would be happy doing as a career. I did a post for Doximity about why I specifically chose PA over MD. Preparation (prerequisites, experience, etc. ): For the most part, the prerequisite classes are the same for both PA school medical school. In some cases, PA programs will have more requirements based on the fact that the program is accelerated and so there isn't time to review a lot of the information that is reviewed in medical school. PA programs expect you to come in well-prepared by your undergraduate coursework. 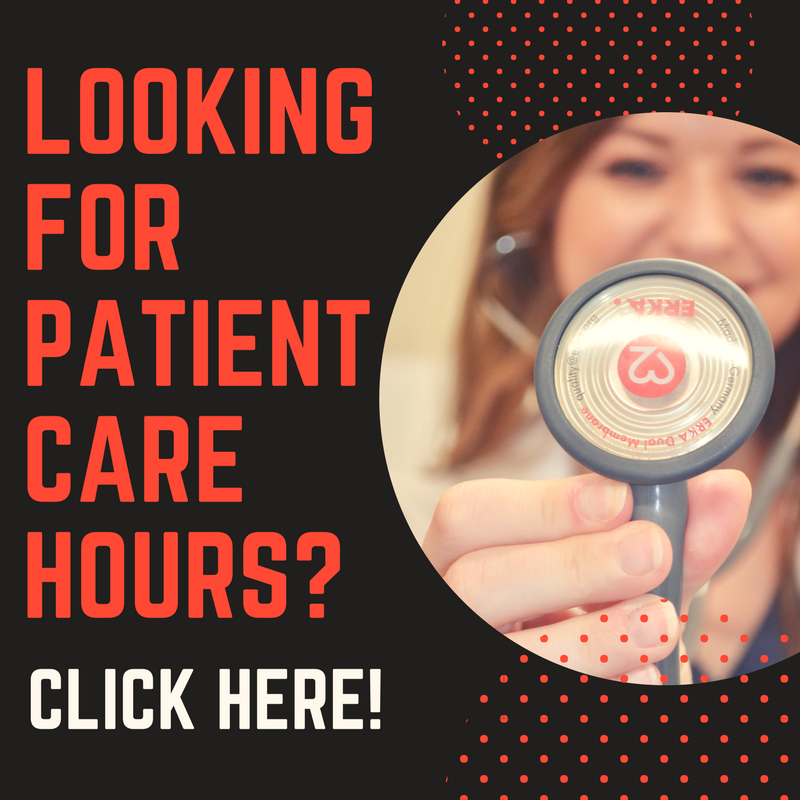 Volunteer work is necessary for both PA school and medical school, but when it comes to direct patient care experience, PA programs typically require this while medical school does not. Application process: So for medical school, you have to take the MCAT. For PA school, you will most likely need to take the GRE, but some programs do not have a required test or will accept the MCAT. Most medical schools have an early application process, whereas PA programs tend to have different application time cycles due to starting at different times throughout the year. Most medical schools start in the fall. Education: Medical school is much more extensive than PA school. A lot of the same material is covered, but there are certain subjects that are not addressed in PA school. In PA school, you jump right into clinical subjects usually after reviewing anatomy, physiology, and statistics. In general, medical school is much more competitive than PA school. Medical school: This consists of 4 years, including 2 didactic years and then 2 clinical years. Typically didactic years are classes from 8-12 daily with some small groups for learning physical exam throughout. Most medical schools record the lectures and do not require attendance at lecture. The first summer there are no classes, which allows for different experiences, including research or working in the hospital. The 2nd summer there is a required test called Step 1, which is a major determinant of where you can do residency and what specialty you are able to pursue. The 3rd year is full of clinicals with tests at the end of each one. Step 2 is another test that must be taken either between 3rd and 4th year or sometime during 4th year. The 4th year is a little more relaxed as far as required rotations, but this is when students are applying for residencies and attending interviews. In March of the 4th year, there is a Match Day, where students find out where they will be doing residency. Following graduation, you are required to complete a residency in the area you choose/can get into for a certain number of years. Residencies are paid and you are at that point an MD, but still a student. This is where you really learn the tools of the trade and how to operate independently. PA school: Most PA programs are 24-36 months long. They are non-stop with no semesters or quarters off. The first part is didactic, and classes are typically 8-5 most days, with small groups mixed in throughout the week. This portion is very intense with at least one test a week. As far as I know, the majority of PA programs have required attendance to all lectures. There are often policies in place that do not allow students to work while in PA school due to the rigorous nature of the program. The second year/half consists of clinical rotations in different fields very similar to medical school and likely with medical students. There are no required tests during PA school, just boards at the end. There is no required residency following PA school, so there is no requirement to pick a specific specialty. There are some residencies available if that is something you are interested in. The Actual Job: Although PAs do have many of the responsibilities and roles that physicians have, there are also a good amount of differences, and this is where it comes down to choosing which one would fit you better. With both, you have the option of choosing what setting you want to work in, whether hospital or clinic. Both are able to prescribe medications, although some states do limit privileges for certain classes, including narcotics. One major difference is that physicians must pick a certain specialty and train for that before starting, and there is not much room to move around between specialties without going back to school. As a physician, you are able to own a practice no matter what state you are in. There are some states that PAs are able to run their own clinics, but they are more limited. If you are someone who needs the final say and wants to have more extensive knowledge about one subject and know what you want to do, then medical school may be better for you. There are certainly times that I regret not having the residency experience and wish that I had that extensive knowledge, but I am getting that on the job instead. If you are more of a team player and like the idea of having someone available to answer questions, then you would do fine as a PA. Personally, the thought of 7+ more years of school and having to choose one thing to do stressed me out and made me want to avoid medicine, so the benefits of PA school really appealed to me. The level of independence a PA has really depends on the supervising physician and specialty, but there are definitely PAs who function mostly on their own and do surgery as well. If you need more direction, listen to this podcast episode featuring an interview with Dr. Ryan Gray from MedicalSchoolHQ where we discuss PA vs MD. I hope this sheds some light on the differences between PA school and medical school and helps to push you in one direction if you are on the fence. Let me know if you have any specific questions about either type of program!